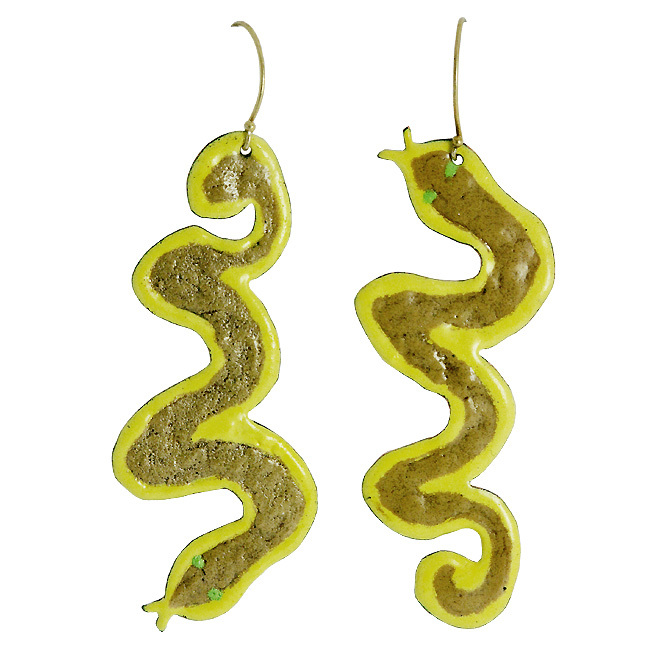 Snake are made of yellow and brown enamel on copper, same work on each side. Hook in vermeil, small rubber stopper inclued. Unique Piece.